Most men enjoy a loving relationship with their car, but the modern man needs a vehicle that he can be proud of. There are various elements that you need to look for when buying your next motor. The Audi A5 Sportback is the perfect solution to provide everything you’ve ever wanted. The German manufacturer has a rich history of producing quality cars and is widely heralded as one of the most loved brands on the market. Their fleet of vehicles all offer great quality, but the A5 Sportback stands out as the ideal solution for the modern man. First and foremost, we’re all guilty of a little narcissism, and a great looking car is the perfect way to stand out from the crowd. There’s something special about having an Audi on your driveway, but the A5 Sportback looks even better than the rest. The bodywork is a thing of sheer beauty. If you are prepared to clean it regularly, the white option is almost perfect. Looks aren’t everything, though, and the modern car needs to be practical. Nowadays, we use our vehicles for a whole host of different daily chores. Unlike the more family friendly A4, the A5 boasts the versatility to conduct the school run and still impress business clients. More importantly, you’ll be sat behind the wheel with a huge smile too. The knowledge that the car looks great will instantly make you feel great too. 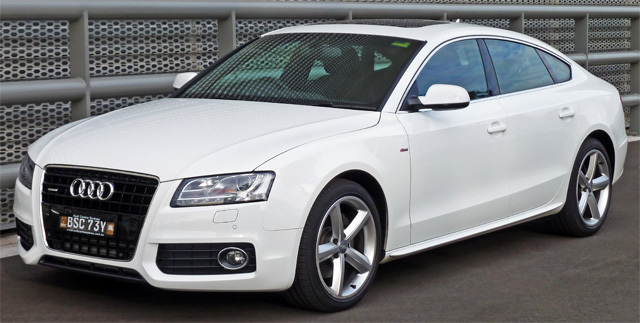 And while it might not boast the same level of driving fun as comparable BMW models, the Audi A5 guarantees comfort. With the addition of Dynamic Steering, you should still gain plenty of excitement from your time on the road too. It doesn’t matter whether you have a two-litre TDI or another option. The Audi A5 has enough power to make motorway driving just as comfortable as city driving. If you do take that petrol option, you’ll never hear the engine noise either. If you tend to conduct business calls on the road, this can be very beneficial indeed. Arguably the top item on anybody’s car-buying agenda is getting value for money. The A5 has been on the market for the best part of a decade now. As such, the used marketplace is packed with fantastic options to cater all budgets. Experts at Inchcape Audi can help you find the perfect solution for your needs. With so many options available, you should have no problem finding the add-ons and other elements that you desire. Another key element to consider is the safety features. The A5 is quite similar to the five-star rated A4. Moreover, the power of the car gives you a far better chance of avoiding an imminent collision too. It’s not an item that you want to consider often, but that knowledge is beneficial. The Audi A5 will leave you feeling great behind the wheel. By connecting your Android phone to the car, you’ll instantly feel like you’re driving a futuristic model too. Let’s face it, we all love our gadgets. Ultimately, the A5 Sportback is an enjoyable and comfortable drive that will grab the attention of passers by. Quite frankly, the modern man couldn’t want anything else from his German whip.